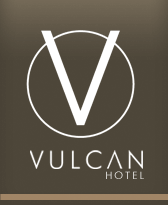 The Vulcan Hotel Sydney is a family owned boutique hotel located in the heart of Sydney. The unique heritage-listed building with a contemporary twist is the perfect base to go out and explore the city. The hotel is conveniently located in Ultimo, with easy access to all types of transport. Enjoy features such as a serene courtyard, business facilities and in-house dining at Cafe Vulcan. The owners Harvey and Carole Ord welcome you to the Vulcan Hotel Sydney and suggest you visit our resort style Hotel in Hunter Valley Wine country. Start your day with great coffee from our espresso coffee machine and a freshly cooked breakfast in our light and airy café. Relax after a tiring day in our landscaped courtyard. A great place for serenity and peaceful surroundings to enjoy your favourite book and a glass of wine. Wireless Internet access available in all bedrooms. Send and receive faxes and emails via Reception. The Vulcan is named after the Roman god of fire. It is usually associated with the melting of iron to make both weapons and agricultural implements. Built in 1894, The Vulcan Hotel provided high-class boutique accommodation and drinks for travellers in the Sydney city district. Specifically, those who were involved with the storage of wool, shipping and the iron works that were all in the vicinity of the hotel. Formerly famous as a venue for jazz bands, it was also known as a great ‘watering hole’ for locals and students. The Vulcan is fondly remembered for both its bands and great atmosphere throughout the many years it traded as a pub/hotel. At the end of 2002 the brand new ‘Vulcan’ was born. Following a multi-million dollar refurbishment to the inside of this heritage listed building, it now provides boutique accommodation in the city of Sydney. All rooms are ensuited and equipped with their own facilities to make your stay as enjoyable and comfortable as possible. In mid-2006, a new wing was built adding an extra 16 rooms, a brand new cafe, reception and courtyard. A lift was built into the new wing for convenient access to the upper floors. In 2008 we won the City of Sydney Business Award for Best Boutique Hotel in Sydney. This boutique hotel is family owned. The owners Carole and Harvey Ord welcome you to the Vulcan Hotel Sydney.